Dominic Isaacs’ Cape Umoya United head into this clash without the services of Shane Saralina who was sent off in the 2-1 win over Tshwane University of Technology last week. “Domza” is still undefeated since taking over the coaching reins with a record of four draws and three wins across all competitions. TS Galaxy humbled Umvoti 3-1 in the Nedbank Cup last week. As far as their league situation is concerned, they’re eighth on the standings and six points off the PSL promotional play-off spots. Back Cape Umoya to win at home. Maccabi have acquired the services of Lumkwana from AmaZulu and Modibedi Mokoena. Newly-appointed coach Joel Masutha held Cape Umoya United to a 1-1 draw in his first match in charge of the side. Ajax Cape Town finally suffered their first defeat under coach Andries Ulderink when they lost 2-1 to Stellenbosch at a fully packed Idas Valley. The Urban Warriors are third on the log and they need to cement their place in the top three. My money is on the Urban Warriors. AmaTuks have won only one of their last five games which has seen them drop to 11th on the log. On the other hand, Shakes Mashaba’s Witbank Spurs managed to beat Maritzburg United in the Nedbank Cup last week. That came off the back of two consecutive wins in the league which has lifted them to 14th on the log. They look set to secure safety in the knick of time. I foresee the visitors continuing their superb form and collecting maximum points. Forgotten former Mamelodi Sundowns and Kaizer Chiefs striker, Edward Manqele scored a brace in Tshakhuma’s 2-1 victory over Polokwane City in the Nedbank Cup last week. They are set to play their first league match under a new coach after parting ways with Sello Chokoe last week. They are now fifth on the log and are definitely challenging for PSL promotion. Royal Eagles are one spot above their opponents and they will try by all means to avoid a defeat to stay within touching distance of the top three. This is likely to end in a stalemate. Real Kings find themselves in the relegation zone after losing 4-1 to a rejuvenated Witbank Spurs side. The derby game is against an inconsistent Uthongathi side which lies ninth on the log with a record of six wins, six defeats and six draws. The Magic Boys are poor while the Cane Cutters are inconsistent hence, I’ll go with my gut feel and predict the visitors to come up tops. Jomo Cosmos are not safe from relegation and at this rate 12th on the log. Ezenkosi have lost four of their last five league games. By a way of contrast, Mbombela have lost one of their last five games. This should be a one-sided game with the visitors collecting maximum points. 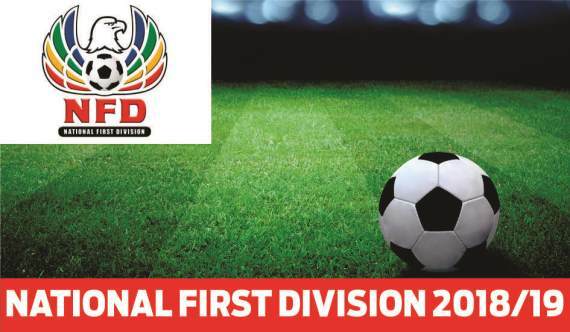 Richards Bay beat Free State Stars 2-1 in the Nedbank Cup last week however in the league they’ve been a bit in consistent as they lie seventh on the table. The Natal Rich Boyz face a TS Sporting side that is now under the tutelage of coach Sammy Troughton who has won one and drawn one of the last two games. The difference between these two sides is just one point and I say a draw is on the cards. It’s the top-placed team hosting the bottom-placed team in the Cape Winelands this Sunday! Stellenbosch continue to ride the crest of the NFD wave after beating Ajax Cape Town in a sold out iKapa derby. They have now opened up a five-point gap on second-placed Mbombela United. The Stellies face struggling Ubuntu Cape Town who anchor the table. I think the only possible result here is a Stellenbosch win.